it's customers to be able too make cheaper calls to other network aftr spending just 11 Naira. other information about MTN Pulse that you should know. 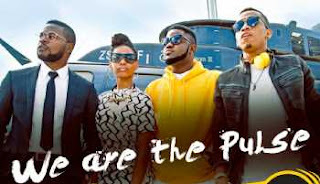 As an MTN customer on the prepaid plan,you can migrate to MTN Pulse tariff plan to enjoy benefits which include flat rate of 11kobo/sec for calls to all local Networks,music on Music plus at N10 per day,night browsing at N25 per day,100% data bonus on purchase of 500MB data bundle,data bonus on recharge etc. Your first migration is free,however subsequent migration within 30 days will attract a fee of N100. 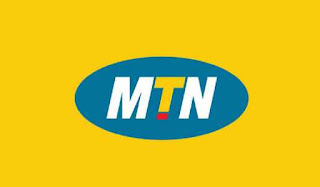 When you migrate to MTN Pulse your calls to all National numbers will be charged at 22k/sec. When you spend up to 11 naira, your call charges to all local numbers will reduce to 11kobo/sec. This discount will continue till 11:59pm of that day. The same scenario will also happen the next day as long a you spend up to 11 naira. This discount will be enjoyed on MTN-to-MTN calls and MTN to other networks calls,this discount doesnt apply to international calls. Customers can also activate the happy hour bundle which is also called night browsing. You can activate the happy hour bundle by sending Night to 131,a subscription fee of N25 will be deducted from your account. The happy hour bundle comes with 500 MB and it runs between 12 midnight to 4 am. You don't need to worry about auto renewal as your subscription wont renewed daily unless you initiate the subscription. Music fans can also get a daily dosage of good music by subscribing to Music+ by sending M to 5900,this costs N10 for a day after which you will have to subscribe to the weekly or monthly service or plan. To enjoy the MTN pulse 500MB weekly bundle,simply send 103 to 131 or dial *406*2#. This coasts N500 only. You will receive a total of 1GB but 500MB will be credited to your data main account while the 500MB bonus will be credited to the bonus account. You can check your bundle balance by sending 2 to 131 or by dialing *131*4#,also check your bonus balance by dialing *559*63#,this bundle is valid for only 7 days,after which any unused bonus will be cleared while any remaining data in the main account will be rolls over when a new subscription is initiated. On the issue of receiving data when you recharge your MTN line,when you recharge with ₦100 you will receive 10MB free,N200 recharge will receive 20MB,this will only happen on your first recharge of the week add it's valid for a day,dial *556# to view the bundle.